100 AI academic and industrial leaders from Stanford, Berkeley, MCity, CMU, UCSB, Cloudminds, NovuMind, Vicarious, Beet Analytics, Horizon Robotics, Didi, SIASUN, HIT Robotics, AMD, Nvidia, Alibaba, Uber, America Express, AutoX, 5D Robotics, Cisco, Liftians, Assembly, Midea, Intellifusion, Inspirit IOT, Lightelligence, Gyrfalcon Technology, Knowmail, Liberio, AgentQ, Leap.ai, Fenwick, Oriza Venture, TSVC, TEEC Angel, Vanke, Risong Intelligent, Chaint-Robotics, Buddha Robotics, Siliconvision, STEP, Team-Marquis, Yijiahe, Research Institute of Tsinghua University in Shenzhen (RITS), Zhangjiang, Suzhou, Nanjing, Weifang, CMIF, CRIA, TEEC etc. with speakers: Tuomas Sandholm, Yuan Xie, Huei Peng, Dawn Song, Neil Trevett, Silvio Savarese, Kai Yu, Robert Zhang, Hongyu Wang, Shishan Ji, Dalong Lyv, Tao Yuan, Changhui Zhu, Jiang Zhu, etc. CEO of UCAHP, the largest cross-border investment and talent platform. Managing Partner, SVC Angel Fund focusing on Intelligent System investment since 2014. Before founding SVC Angel Fund and SVC Angel Club in 2015, Roy founded UCAHP, a non-profit organization bridging China capital and marketing opportunities with US startups. Roy was in GPU industry for 17 years, and SSD industry for 5 years, managing engineering teams in both Silicon Valley and Shanghai since 2000. Roy was involved in 5 startups, one was listed on Nasdaq, one was listed on China Growth Enterprise Market, and two were acquired. As a primary inventor, Roy holds 5 granted US patents and 4 China patents. Dawn Song is a Professor at UC Berkeley. Her research interest lies in deep learning and security. She is the recipient of various awards including the MacArthur Fellowship, the Guggenheim Fellowship, the NSF CAREER Award, the Alfred P. Sloan Research Fellowship, the MIT Technology Review TR-35 Award, the George Tallman Ladd Research Award, the Okawa Foundation Research Award, the Li Ka Shing Foundation Women in Science Distinguished Lecture Series Award, the Faculty Research Award from IBM, Google and other major tech companies, and Best Paper Awards from top conferences. Associate Professor of Computer Science at Stanford University and director of the SAIL-Toyota Center for AI Research at Stanford. His research interests include computer vision, robotic perception and machine learning. He is the recipient of several awards including a Best Student Paper Award at CVPR 2016, the James R. Croes Medal in 2013, a TRW Automotive Endowed Research Award in 2012, an NSF Career Award in 2011 and Google Research Award in 2010. In 2002 he was awarded the Walker von Brimer Award for outstanding research initiative. Currently serves as the Director of Mcity, which studies connected and autonomous vehicle technologies and promotes their deployment. He was involved in the design of several militaries and civilian concept vehicles, including FTTS, FMTV, Eaton/Fedex, and Super-HUMMWV—for both electric and hydraulic hybrid concepts. He served as the US Director of the DOE-sponsored Clean Energy Research Center—Clean Vehicle Consortium, which supports more than 30 research projects related to the development of clean vehicles in US and China. He has served as the PI or co-PI of more than 50 research projects, with a total funding of more than 50 million dollars. He has more than 250 technical publications, including 110 in referred journals and transactions and four books. His h-index is 66 according to the Google scholar analysis. The total number of citations to his work is more than 17,000. Prof. Peng has been an active member of the Society of Automotive Engineers (SAE) and the American Society of Mechanical Engineers (ASME). He is both an SAE fellow and an ASME Fellow. He is a ChangJiang Scholar at the Tsinghua University of China. Prof. Yuan Xie is leading the Scalable and Energy-efficient Architecture Lab (SEAL) at UCSB. He joined UCSB in Fall 2014 after 11 years with Penn State University (2003-2014). He received B.S. degree from Electronic Engineering Department at Tsinghua University, and M.S. and Ph.D. degrees from Electrical Engineering Department, Princeton University. Prior to joining Penn State in 2003, he worked as Advisory Engineer for IBM Microelectronics Division’s Worldwide Design Center. He was also on-leave in 2012-13 to work with AMD Research Lab. He was a recipient of the NSF CAREER award in 2006. He is a Fellow of IEEE, ACM Micro Hall of Fame inductee. Among his research interests, the application-driven research projects include novel architectures for artificial intelligence (AI), such as computer architecture for deep learning neural network, neuromorphic computing, and bio-inspired computing, hardware acceleration for emerging applications such as bio-informatics applications, graphics analytics, and robotics applications. David is the creator of core concept that drives ENVISION technology. Prior to co-founding the Company, he was the Global Vice President of Engineering for Comau Body Welding, a FIAT Group company. Dave has also served as CIO for Comau NA. Manufacturing leaders who focus only on the technology involved will be frustrated—because the new industrial revolution is just as much a culture and people thing as it is a technology thing. The only way to speedily change culture and people is to bring immediate and positive results to those who live in the manufacturing process every day. The Grand Canyon-size gap between the lofty aim of Industry 4.0 and today’s factory reality is the biggest hindrance to moving down the path of the new industrial revolution. Dr. Kai YU is the founder and CEO of Horizon Robotics Inc. He is a recognized pioneer and leader in deep learning and artificial intelligence. He was the founder and Head of Baidu Institute of Deep Learning (IDL), the first and most established artificial intelligence R&D center in China industry. Dr. Yu is elected to China “Top 1000 Talents”, a prestigious group of technology leaders of the country. Dr. Robert Zhang is Co-Founder and President of CloudMinds Technology Inc. Robert’s role is to establish and implement the company’s global business and product strategies as well as manage day-to-day operations to ensure the success of these strategies. Prior to Co-Founding CloudMinds, Robert has held various engineering and management positions at Apple, Microsoft and Samsung. He is a recipient of three master’s degrees in Management Science and Engineering, Computational Mechanics, and Computer Science from Stanford and University of Illinois respectively; and received his doctorate in Computational Mechanics at University of Illinois as well. Neil is Vice President of Mobile Ecosystems at NVIDIA. Neil has spent over thirty years in the 3D graphics industry. At NVIDIA he works to enable applications to leverage advanced silicon acceleration, with a particular focus on augmented reality. Neil is also the elected President of the Khronos Group standards consortium where he initiated the OpenGL ES API, now used on billions of mobile phones, and helped catalyze the WebGL project to bring interactive 3D graphics to the Web. Neil also chairs the OpenCL working group defining the open standard for heterogeneous parallel computation and has helped establish and launch the OpenVX vision API, the new-generation Vulkan GPU API and the OpenXR standard for portable augmented and virtual reality. Tao Yuan, Chairman, Zhangjiang (Group) Co., Ltd.
Vivian Sun, Zhangjiang Incubator Management Co., Ltd.
Jun Yin, Suzhou Industrial Park HR Development Co., Ltd. Topics include the newest developments in AI theory, algorithms and applications, as well as the trend of future AI applications from the perspective of processors, autonomous driving, robotics and manufacturing, Neural Networks and other machine learning technologies, machine learning/computer vision and profit boost. What are the implications with AlphaGo and Libratus beating the best human players in Go and Poker? How will AI change the manufacturing, transportation, energy industries? How far are we from the intelligent industry, and what to prepare? Mei Han is the head of Pingan Silicon Valley Research Institute. Her research areas include deep learning, computer vision, medical imaging, video surveillance, and 3D modelling. Prior to joining Pingan, she held the position of research scientist at Google Research and Cloud AI, and research staff member at NEC Labs America. Mei Han holds Doctorates in Robotics and Computer Science from Carnegie Mellon University and Tsinghua University. Discussion on security trends and applications in AI enabled industries and applications, including fraud, intelligent system, IIOT etc.. AI, cloud computing, big data, CPU, MCU, sensing technology all together are changing the industry disruptively. Emergent Security AI, real-time threat detection and defense. Security Intelligence, how AI/Machine Learning help security and what are the threats presented with the connected and intelligent systems? What are the startup opportunities in Intelligent System Security? Liwei was a scientific advisor at Trend Micro. Prior to joining Trend Micro, Liwei was chief scientist, co-founder and board director of Provilla, Inc. Dr. Liwei Ren works as a domain expert in a few areas: Data leak prevention (aka, DLP); Differential compression (aka, delta encoding); Mathematical modeling and Practical algorithms. Liwei holds his Ph.D. in Mathematics, M.S. in Information Science from University of Pittsburgh and B.S from Tsinghua University, Beijing. Former Executive Vice President, Engineering at Palo Alto Networks, Inc. Wilson joined Palo Alto Networks in 2006 as part of the company’s founding Engineering team. Currently, he heads our Engineering organization in the development of our next series of game-changing enterprise security offerings. Previously Wilson held various engineering and management roles at Juniper Networks, NetScreen Technologies and Network Associates, Inc. Wilson holds MS in Computer Science from Penn State University and a BE in Computer Science from Tsinghua University. James has over 17 years of technical and management experience in the fields of network security, enterprise security, data communications and more. Prior to that, he was the co-founder of AssureSec, an enterprise security startup (acquired by Dell). Before that, he was Cloud Security Startup Shape Security (invested by some of Silicon Valley’s top venture capital firms, such as KPCB, Norwest Venture, Google Venture) platform and cloud technology product manager. He has held senior management positions at wireless network startup Aruba Networks. He is also one of the key members of the R & D team at NetScreen, a security startup based in Nasdaq that was acquired by Juniper Networks in 2004 for $ 4 billion. He is also an early R & D team at Web startup Stoke, founded by Silicon Valley top venture capital firm Sequoia and KPCB. 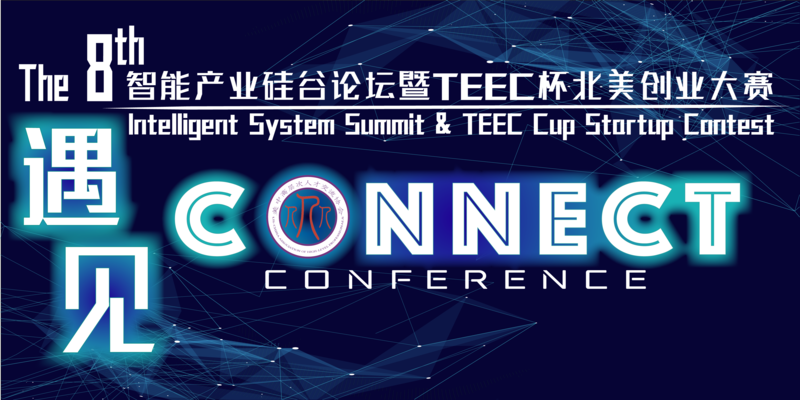 Topics include connected cars, infotainment, autonomous driving, future city and road network, sense fusion/hybrid sensors, low power and customized hardware/software systems, trend of future sensors in car, new computer vision development in car, challenges in mixed driving environment. Is a driverless vehicle even possible? How can we collaborate on intelligent car? What are the new startup opportunities? How will 5G and car-sharing accelerate the intelligent car trend? Who and how to certify the driverless car? Phil joined 5D October 2015 and serves as CMO & VP Sales. 5D is a precision navigation sensor and autonomous software company for unmanned air or ground vehicles. Prior to 5D he served as General Manager at Microsemi for the System Division leading a $200M business in precise devices to service providers, enterprises, banking, and Government programs. Solutions ranged from instruments to mobile apps to SaaS. Earlier Phil led Symmetricom’s sales for 9 years before Microsemi acquired Symmetricom in 2013. As VP Sales Phil penetrated a broad suite of markets and solutions ranging from precise instruments, video analytics software, encryption, security, defense, and GPS. Li Erran Li received his Ph.D. in Computer Science from Cornell University in 2001. From 2001 to 2015, he worked as a researcher in Bell Labs, Alcatel-Lucent (acquired by Nokia). Since 2015, he started working as a senior software engineer at Uber Technologies. He is also an adjunct professor in the Computer Science Department of Columbia University. He is an IEEE Fellow and ACM Distinguished Scientist. His research interests are machine learning algorithms, systems, deep learning and AI. Gaurav Agarwal is currently the Product Manager for Nvidia DriveWorks, a software development kit for autonomous driving and processing sensor data through perception, mapping, localization, and path planning steps. He has over 10 years of experience in software and embedded systems out of which ~5 years of experience are in automotive. He holds two US patents. There exist both technology and business challenges in multi-dimension, inter-department, data centric manufacturing ecosystems. Critical real pains in manufacturing, domain knowledge of manufacturing, solutions and systems choices, sell into manufacturing industry. Real time information exchange and intelligent decision making manufacturing system. New sensors and control hardware in need? Challenges of cyber connected systems including business management, production management, process management, sensing and IT systems, inventory and product management systems, business intelligence, etc.. Trend of Intelligence Power Era transition from Machin Power Ear. Customization, individualization, on demand. Jonathan was founder of Cloudemist, director of search intelligence and personalization at Barnes and Noble, and engineeing manager (business intelligence) at Yahoo. Liftians is a computer software company that designs and develops software systems for automated storage and retrieval systems powered by mobile robots. Liftians Inc. has been a AGV-based logistics solutions since 2017. As executive vice president of engineering and CTO at Arena Solutions, Wenxiang Ma is responsible for all Arena product: development, quality assurance and customer support. Wenxiang also manages all cloud infrastructure operations and oversees technology directions.Prior to joining Arena, Wenxiang worked as senior director of development at Oracle. Before that, as general manager of China Development Center at Agile Software, Wenxiang played an instrumental role in initial center launch and daily operations while leading a successful acquisition transition by Oracle. Wenxiang has also held other senior most leadership development positions at Kanisa (Ernst & Young), Starfish Software and Borland International. Jonathan Friedman is the founder and CEO of Assembly.com. He holds a doctorate in electrical engineering from the University of California in Los Angeles (UCLA) where he was subsequently a Visiting Scholar, in the department of neuroscience, neurology, & neurosurgery. He is the inventor of Biomimetic Electrostatic Imaging and the ARI RADAR architecture and has won international design awards for his work on crystal-compensated crystal oscillators and high-efficiency solar energy harvesting. Assembly.com helps companies and factories deliver high-quality manufacturing processes through its suite of sensor technologies and services. Assembly will monitor and improve your (or your partner’s) factories by reducing defects, improving yield, and lowering ancillary and inventory costs. Experienced senior executive in enterprise solutions & product development, especially in the focus areas I start calling: AI (Artificial Intelligence) + BI (Business Intelligence). Responsible for strategic investment in US for Midea Group. Formerly senior executive in Grand Intel, NetApp and Cisco. Leading team up to 350 resources, $40 million USD annual budget. 19 years of US Fortune 500 working experience in AI, BI, analytics, data science, data management, a great variety of cloud and on premise enterprise IT applications. The business solutions won 10+ industrial and company awards. Featured in Bloomberg News, Business Week, San Francisco Chronicle. 20+ granted US and international patents. AI chips brought new waves of startups and investments in the semiconductor industry, another example that SW requirements drive chip advancement. Why AI chips, and what can AI chips do, what are the architectures of AI chips. From BPU (Brain Processing Unit), GPU, IPU, LPU, TPU, what are the new innovations in AI Chip startups? What are the use cases of AI chips? Who are the front runners of AI chip startups? What are the different AI chip architectures? How important is this AI chip wave in semiconductor? What can Silicon Valley IC engineers do to catch and ride this AI chip wave? What are the opportunities in public and startup AI companies? Zhou Bin, CEO of NovuMind(China), CUDA Fellow of Nvidia, former deep learning scientist of SenseTime. Visiting researcher of advanced science and a visiting researcher of the University of Science and Technology of China. 20+ year GPU architecture veteran, managed GPU, AI chip architecture design in S3, VIA, MediaTek, etc..
Co-founded Intellifusion Technologies (headquartered in Shenzhen) and serve as CTO for the company, heading the company’s technology and product development on visual intelligence. Prior to the current venture, Worked for nearly 10 years on advanced development of video technologies and products in the US bay area, in Samsung, Cisco etc. Intellifusion combines AI technologies with heterogeneous computing in cloud and application-specific instruction-set processor (ASIP) on device to deliver visual intelligence solutions at scale. As founder and CEO of Gryfalcon Technology AI chip company, Dr. Yang is an ASIC design expert with over 16 years of specialized experience in digital communication, digital signal processing, voice and image processing, and cell-based technology. Co-founded Legend Silicon, Dr. Yang was Director of the Wireless Design Services Group for Cadence Design Systems, where he led ASIC development teams for a wide variety of multimedia and telecommunications applications. He received his Ph.D. degree from the Department of Electrical Engineering, University of California, Berkeley, M.S. degree from Tsinghua University, and B.S. frpm Fudan University. Author of Nature – Photonics cover paper. Research interests covers theoretical and experimental Nanophotonics, Deep Learning and Optical Computing. Has contributed to nanophotonic breakthroughs that could shape the future of energy. Lux Labs makes optical films that discriminate light based on its angle of propagation — great for optimizing solar power tech. LightIntelligence designs computer chips powered by light rather than electricity. Dr. Deming Chen is the co-founder and President of Inspirit IoT, Inc. which offers new design methodologies for AI hardware as well as provides smart sound IoT solutions. He has published more than 160 refereed journal and conference papers in the areas of FPGA, GPU, nanotechnology, and heterogeneous computing. He has served as PI/Co-PI on more than 25 research grants administered by US Federal agencies as well as the industry. He has received six Best Paper Awards (ASPDAC’09, SASP’09, FCCM’11, SAAHPC’11, CODES+ISSS’13, and ICCAD’15). He has been leading the successful FCUDA project that uses CUDA language to program FPGAs. Dr. Chen was involved in two startup companies. Aplus was acquired by Magma in 2003, and AutoESL was acquired by Xilinx in 2011. Qinggang was Sr. Staff Lead, GPU SW at Apple, and manager at Qualcomm. He was GPU architect and SW lead at Nvidia. Progresses in DL and NLP, real applications in NLP, and the trend in NLP in customer services, hiring, social media, in-vehicle speech application, office tool, travel, e-commerce etc.. Growing importance and use cases of NLP with $10B market size or healthcare and life science, media and advertisement, legal, IT, Finance and banking, etc.. Unlocking business value buried within vast data assets of a company. Agent Q is the AI platform or sales and customer service. I’m responsible for the conception, training, and deployment of artificial neural networks for a range of machine intelligence tasks. Aaron was founder of Shophood and Devotably. Yunkai has worked in a lot of domains in his career, from electrical engineering, to computer networking, payments, machine learning, infrastructure, and UI. Throughout these changes, a couple of things stayed the same: growing himself and helping others grow. At Leap, Yunkai aims to help millions of people around the globe find success and happiness in their careers. Fenwick & West and UCAHP Present. Investment trends in US venture capital, Including unicorn status, up/down round statistics, amount and field trend. Discussions from best known Silicon Valley Law Firm, it served 1/3 of Silicon Valley technology companies from startup to IPO. CRIA/UCAHP present. Executives from top China robotics companies and leading Silicon Valley AI companies sit together and discuss the collaborations. AI and Cloud Robotics, machine-learning robots, collaborative robots, cognitive robotics. What are the technology and talent needs of top China robotics companies such as Siasun Robotics, HIT Robotics Group etc..? Industrial Robots and Consumer Robots. How to ride the wave of the internationalization of the China robotics companies, and the China market penetration of the US leading AI companies such as Vicarious AI. Siasun, HIT Robotics and other companies will also present their hiring and technology needs, and talk to candidates and partners in the event exhibition hall and meeting rooms. Hongyu Wang, Sr. VP, Siasun Robot and Automation Co., Ltd.
Yu Zhenzhong, General Manager of HIT Robot Group and Chairman of Industrial Robot Division, Mr. Yu Zhenzhong graduated from Harbin Institute of Technology, State Key Laboratory of Robotics Technology and System, under the chairmanship of Dr. CAI He-Gao, “Father of China’s Industrial Robots” Currently, he is the senior vice president of HRG, responsible for the industrial robot division and is responsible for the technical management, technical service and product research and development of the group. Erbin Liu, Vice Chairman/CTO, Risong Intelligent Technology Holdings Co.
Qing Fan, Vice GM, SINOMACH Intelligence Technology Co., Ltd.
SINOMACH Intelligence Technology Co., Ltd. is a subsidiary of the Central Research Institute of China National Machinery Industry Corporation (hereinafter referred to as “SINOMACH”). At the end of 2015, for the purpose of building an intelligent manufacturing sector, SINOMACH invested RMB 1 billion to set up SINOMACH Intelligence Technology Co., Ltd. and transferred the entire research and development of intelligent manufacturing technology from the Academia Sinica Central Research Institute Intelligent machine, and the establishment of Beijing Institute of Intelligent Technology Institute. SINOMACH Intelligence Technology Co., Ltd. undertakes a number of industry and information technology by the Ministry of Finance jointly carry out intelligent manufacturing integrated standardization of new model applications. Yang Yang, Chairman, Changsha Chaint-Robotics Co., Ltd.
Chaint-Robotics Co., Ltd. was established in 2008, with CTR robots and complete sets of intelligent equipment manufacturing capacity. The company has successfully developed a series of products such as robot flexible welding production line, whole-process casting production line, intelligent logistics production line and dangerous goods intelligent manufacturing complete sets of equipment and so on. The products are widely used in automobile manufacturing, casting, construction machinery, rail transit, aviation ship, light food, New energy and civilian explosion and other industries. “CTR cast iron robot automatic finishing system” won the highest award in the international robot industry, “IERA Award invention and entrepreneurship Award” silver award. Ying Sun, GM, Zhejiang Buddha Robotics Co., Ltd.
CloudMinds was founded in 2015 with the three elements of many successful start-ups: a bold vision, creative people, and encouraging financial support. The CloudMinds vision is that by 2025, helpful humanoid robots will be affordable for the average household. CloudMinds is supported by an internationally diverse set of investors, including, Foxconn, Keytone Ventures, SoftBank and Walden Venture Investments. Dawei Lu, GM, Siliconvision Technologies Pte., Ltd.
Long Xu, Strategic Planning, President’s Office, Shanghai STEP Electric Corp.
Shanghai STEP Electric Corp. is mainly engaged in the industrial automation of the research, production and sales of elevators for elevator control systems and elevators. The company provides complete product solutions for elevator machine manufacturers and is widely used in high-speed / Medium speed / low speed elevator, AC / DC elevator, hydraulic elevator, escalator, etc. It is one of the largest suppliers of elevator control system in China and the domestic market of microcomputer control main board. Market share ranked #1 in the industry for nearly three years. It has become the only elevator control system supplier in the world that provides volume solutions to the top four elevator manufacturers in the world. Weigang Wang, Chairman, Zhejiang Team-Marquis Investment Management Co., Ltd.
Team-Marquis investments in high-tech field companies especially robotics. Nvidia, ZIBOT, InspiritIOT, Gryfalcon AI,Sisu, MicroReme, SkyGlue, NED Optis, Tsinghua Shenzhen Institute, CMIF, K&L Gates, Fenwick&West, Suzhou, Nanjing, Zhangjiang, Weifang, TEDA etc. Royole Tech (the world’s thinnest flexible display) received VC funding for growth after winning our contest, now the company is valued at above $3b. PayEgis (online transaction protection), valuation above $1b. GetScale (smart manufacturing, a YC Startup) recently received free office spaces from Suzhou, Qingdao, and potential government funds from Suzhou. Charlie Campbell (Founder/CEO HONT, co-founder Bucket): “UCAHP short circuited the process by introducing us to the right people to enter and engage with the Chinese market. Flash forward to 2016, and for the past three years, I’ve lived in China full time building a startup brick by brick. If I’ve learned anything, the difference between success and failure rides on your relationships and understanding of the local market, both of which UCAHP has helped me out with tremendously”. We welcome you to join us, to learn, and to compete.